Our third and final episode in our interview series with Montblanc CEO Nicolas Baretzki takes us into the humanitarian side of the brand. Baretzki tells us about the latest project, a new phase in Montblanc’s partnership with Unicef, the “Pass It On” initiative, which was detailed at the event we attended in New York. It was the CEO’s first step into his new function. The meaningful activation relates more to humans than products, aiming at helping to improve learning for over five million children around the world through literacy and education programs. Montblanc and Unicef have been working hand in hand for years to create a real impact in children’s lives and raise funds towards worthy causes. 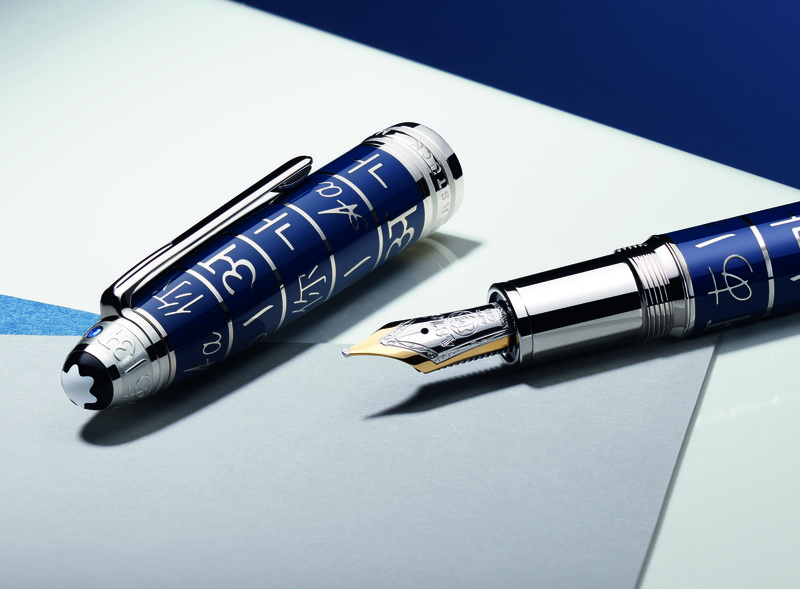 How can you contribute as a Montblanc customer? How does Pass It On aid Unicef? Watch our video for details from the CEO himself. Pass It On was also launched in the Middle East at an event in Dubai, where the new limited edition Unicef collection was showcased; special edition timepieces, writing instruments, leather goods and jewellery. Omar Samra, Egyptian UN Goodwill ambassador, shared with attendees his most emotional moment connected to writing, and announced his upcoming venture, a trying rowing journey that will test his limits. 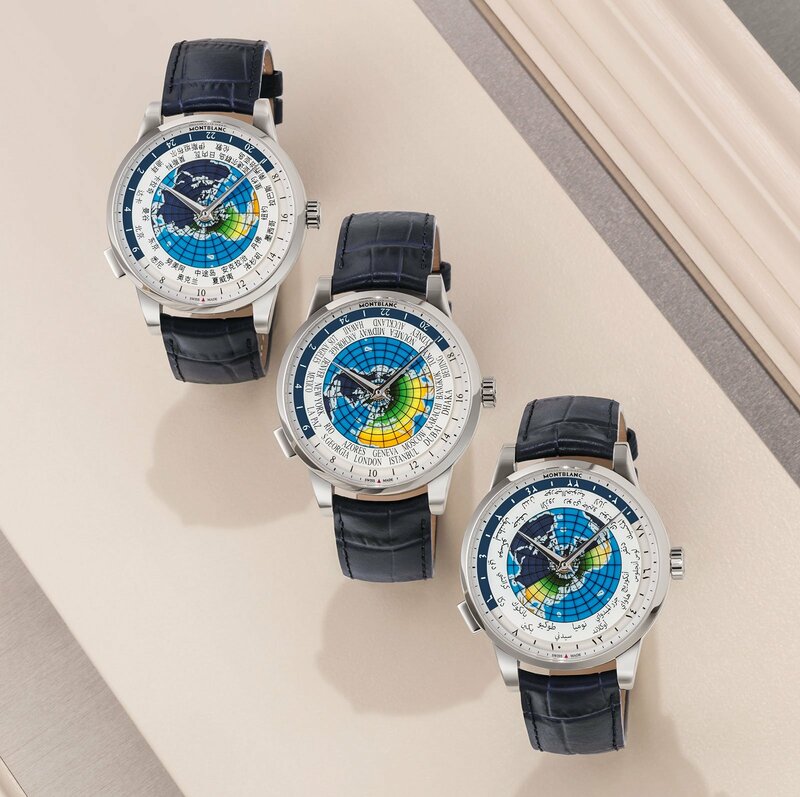 The Heritage Spirit Orbis Terrarum Unicef, a variation on Montblanc‘s affordably priced Orbis Terrarum world timer, is available in three versions, each representing a key region. The special Middle East related one, the Heritage Spirit Orbis Terrarum Arabic Unicef, spells out in Arabic, the names of cities around the world, while the Latin version has those names in English, and the Asian edition in Chinese. The collection also features a Rosetta Stone-inspired Meisterstück, the ‘Writing is a Gift Edition‘, presenting the diversity of world languages through six, beautifully handwritten characters, the first letters children learn to write at school in six different languages from around the world: Roman, Arabic, Japanese, Chinese, Korean and Hindi. The Meisterstück Selection Unicef leather collection, an elegant combination of plain leather and leather finely printed with a subtle geometric pattern, includes large leather bags, backpacks, document cases, different size wallets, a pocket credit card holder, key fob, business card holder, passport holder, belt and a zip top pen pouch. The pieces are trimmed with a touch of Unicef blue in recognition of the partnership. Watch episodes 1 and 2 to complete the experience.